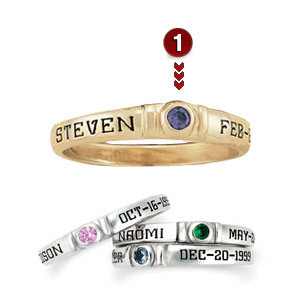 The 10kt yellow gold Irresistible Ring combines name, date and your choice of a 2.2mm round genuine birthstone. Ring top width: 3.05mm, palm width: 2.05mm. Engravings are always in capital letters. Design Patent 393,225.